18" 20" 22" 24" 26" 28" 30" 32" 34" 36" 38" 40" 42"
Designed bigger at underbust and hips to allow for maximum compression at waist. 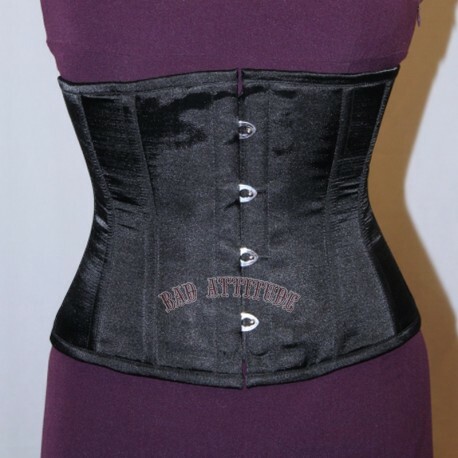 Style intended to be ordered at least 5” below natural waist measurement. 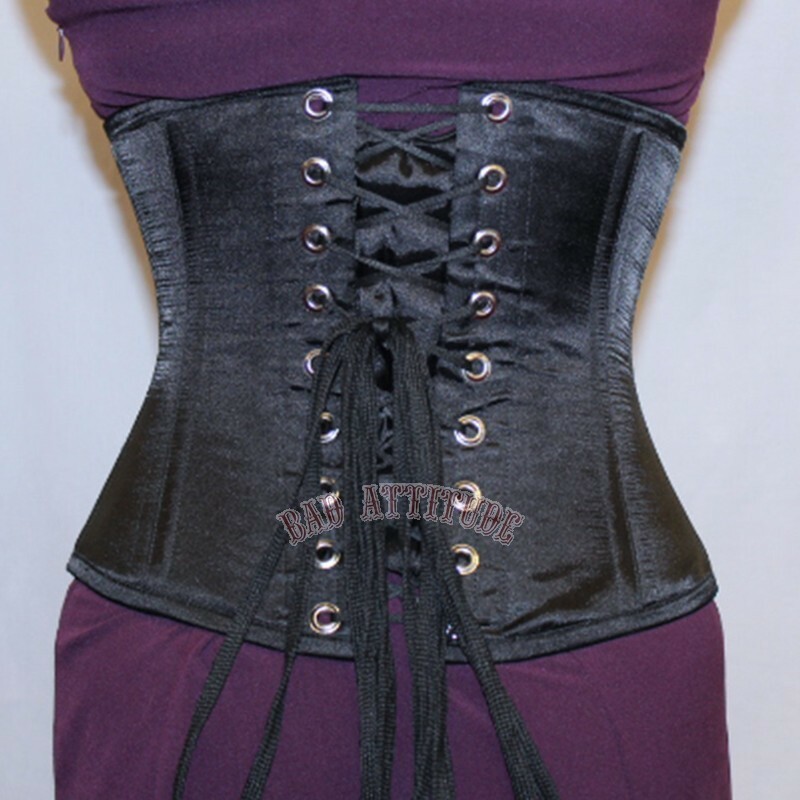 Corset flattens the tummy, and creates a beautiful hourglass figure. Wonderful both as outerwear or under your favorite frock. The long version of this corset is the Maiden. Front Length 9.5", Rear Length 10". Comes standard with steel front busk, all around sprung steel boning, back lacing, back flap or privacy panel, 6 elastic garter tabs and fully lined with 100% cotton. Detachable metal tipped garters sold separately in sets of six for $24.99 in black or white. All in stock under bust black items $50.00 off regular price. Email us for other colors and fabric requests.